Owned by mum & daughter Jan & Carla Zelezinski, we are all about fantastic floral design, exquisite ideas, friendly personal service, creating with the skills from more years experience than we like to mention and using the best quality flowers we can get our hands on! 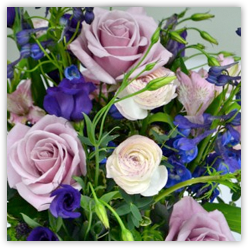 We are a unique florist in Bishop’s Stortford in a very special setting – our flower workshop is in converted stables on a picturesque farm minutes from the town centre – a grotto of beautiful flowers, vases and ribbons! 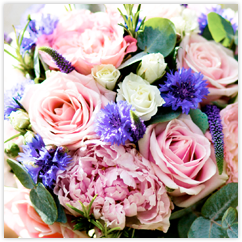 We find great pleasure in making lovely bouquets using seasonal flowers and colours, and love being creative! We are not just another national online service sending out flowers by courier nor are we involved in any relay systems, we create with our own hands then deliver with our own feet! We are Wedding Specialists and we love being creative with ideas and helping to make the perfect day. 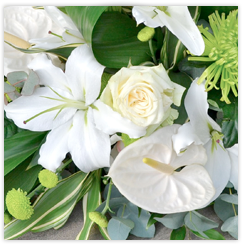 Send thoughtfully designed Funeral & Sympathy tributes to express your condolences.